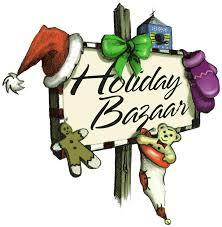 Holiday Bazzar | Union County Development Corporation » It's Fun to Play, Work and Live Here! You will not want to miss all of the amazing crafts, treats and gifts that this bazaar will bring and lets not forget the world famous “Cream Chicken Sandwich”. Spend some time buying gift or treat yourself to the treasures you are sure to find!!! This entry was posted on October 6, 2014 by Melissa Browning.